Norma Kay (Snodgrass) Toliver, age 70, of El Dorado Spring, Missouri, passed away in Springfield, Missouri, on April 13, 2015, after losing a long, hard-fought, and courageous battle with cancer. Norma was born in Nevada, Missouri, on December 26, 1944, to Loyd and Jessie (Brittingham) Snodgrass. Norma loved the Lord and was a devoted Christian. Until recently when her health did not allow her to do so, she faithfully attended Bethel Freewill Baptist Church in El Dorado Springs, Missouri. She was a 1962 graduate of El Dorado Springs High School. After graduation, Norma married Wayne Elton Toliver on December 6, 1963. To this union two children were born, Darren Scott and Debra Suzanne, to whom she devoted her entire life. Norma was the youngest of five girls. 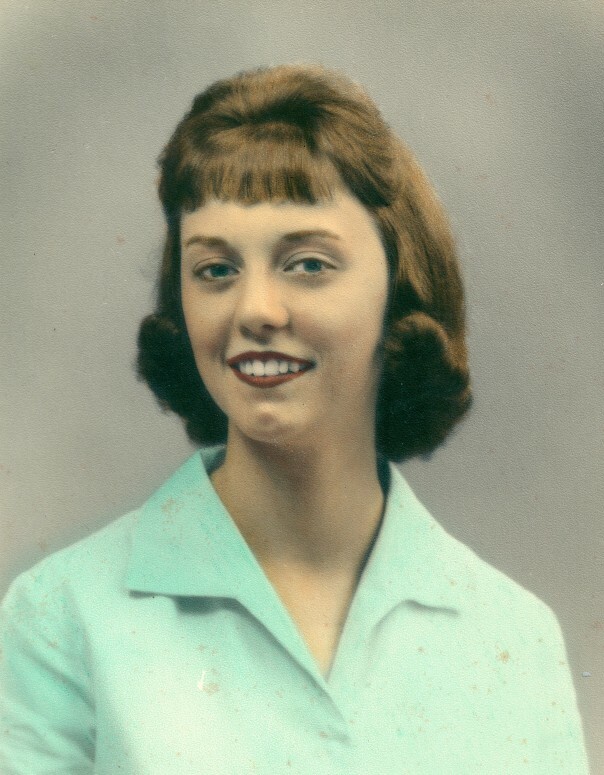 She and her two living sisters, Lois Ann and Nadine Marie, were inseparable, raising their children together, traveling together on family vacations, and living as neighbors on the “hill.” Norma spent much of her life working in the family owned business, Snodgrass Greenhouse, with her two sisters and their father until his passing in 2000. The “Snodgrass Girls” continued to run the family business, where Norma was the Floral Designer until retirement in 2013. Norma was meticulous in her work. Making her clients happy was top priority, even if often times it meant a smaller than customary profit, if any at all. In 1967, Norma began a career as bookkeeper with Union Gas Company, working along side her husband Wayne. She was employed with Union Gas twenty-two years, until the closing of their office in 1989. Upon departing from Union Gas, Norma went from working weekends at the family greenhouse business to full time. In 2004, she became employed with Walmart in Nevada, Missouri, where she held the positions of cashier and door greeter. Norma loved her job at Walmart. She loved her job to the extent she would most always leave for work in Nevada 1-2 hours early, “just to be on time and ready for work”. Norma was a hospitable spirit. Her door was always open to anyone needing shelter from a storm, as well as someone in need of a place to spend the holidays. If you entered Norma’s house, you were treated as family. She gave sacrificially, always putting her family and friend’s needs before her own. Whether it was in her own home, the Union Gas office, the Greenhouse, or at Walmart, Norma had a welcoming smile to all who entered her presence. She listened more than she talked. She gave more than she took and she loved completely. Norma’s pride and joy were her grandchildren. Their summers were spent at Me Ma’s house where “there were no rules.” During her brave battle with cancer, she spoke often of her will to live for them to see their graduations, proms, and birthdays. Her family believed her source of strength was found in her drive to live for her grandchildren. Me Ma and her only granddaughter and namesake, Libby Kay, were kindred spirits. They could not be pulled apart, even during Me Ma’s most difficult days. She would have moved heaven and earth for her children’s and grandchildren’s happiness. Norma’s most favorite things to do were to spend time with her grandchildren and to spend hours watching “The Golden Girls.” She loved her herbs, her elephant ears, and peonies. She had a green thumb that could not be challenged, even by her sisters. Norma was preceded in death by her parents, Loyd and Jessie Snodgrass; her father-in-law, Elton Toliver; one infant sister, Joan; one sister, Betty Jean; and four brothers-in-law: Lyle Bough, Don Baker, Ross Toliver, and Ronald Toliver. She is survived by her husband, Wayne, of the home; one son, Darren Toliver and wife Kristi and one daughter, Debbie Toliver, all of El Dorado Springs, Missouri; three grandchildren, Tyler Stroer, Morgan Toliver, and Libby Kay Toliver; mother-in-law, Virginia Toliver of El Dorado Springs, Missouri; her two sisters, Nadine Baker and Lois Smith both of El Dorado Springs, Missouri; sister-in-law, Sharon Henderson and husband Dan of Springfield, Missouri; brother-in-law, Jim Toliver of El Dorado Springs, Missouri; best friend, Patty Lucke and husband Alan of Corpus Christi, Texas; goddaughter, Missy Lucke; as well as several nieces and nephews and a host of friends. She will be missed. Funeral services for Norma Toliver were held on Saturday, April 18, 2015, at 10:00 a.m. at Bland-Hackleman Funeral Home with Rev. Dennis Johnston and Rev. Jerrell Fischer officiating. Music was provided by Brian Collins. Interment followed at El Dorado Springs City Cemetery. Pallbearers were Tyler Stroer, Morgan Toliver, Tim Minehardt, Jeff Toliver, Jody Smith, Davy Coleman, Mark White, and David Minehardt. Honorary pallbearers were Dave Sibley, Bruce Hargrave, Joe Highfield, Richard Walker, Randy Baldwin, and Brandon Barker.